Four Favorites for 3-Part Mixed Voices. Composed by Glen Ballard, Alan Silvestri, Teena Chinn, Paul O'neill, Robert Kinkel, Jon Oliva, Greg Gilpin, Dr Seuss, Albert Hague, Jeff Funk, Mervyn Warren, Michael O. Jackson, and Mark Kibble. 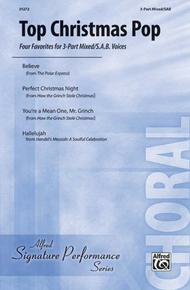 Choral Collection; Collections; Performance Music Ensemble. Signature Series. Christmas; Pop; Secular; Winter. Book. 48 pages. Alfred Music #00-31272. Published by Alfred Music (AP.31272). 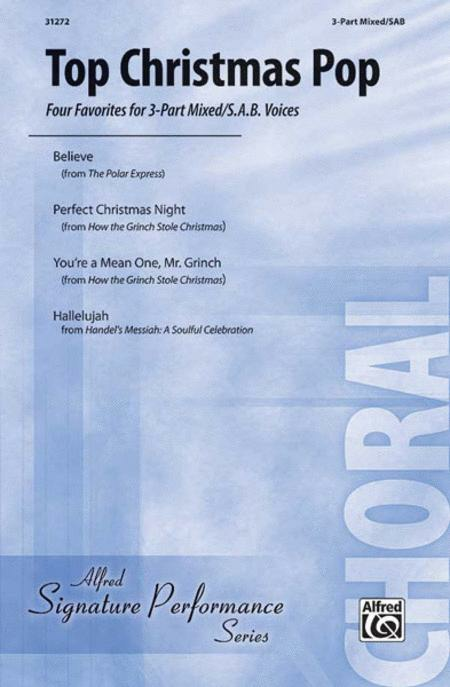 Includes popular arrangements of: Believe * Perfect Christmas Night * You're a Mean One, Mr. Grinch * Hallelujah from Handel's Messiah: A Soulful Celebration.